Glasgow is the place to be to get fully informed on the latest in all aspects of renewable energy at All-Energy. It’s a major event with hundreds of exhibitors and also hundreds of conference and seminar sessions. Judith Patten, project director for All-Energy 2016, sets the scene. 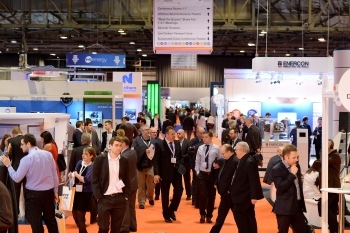 All the component parts are in place for All-Energy 2016, the UK’s largest renewable energy exhibition and conference taking place at Glasgow’s Scottish Exhibition & Conference Centre on 4 and 5 May. 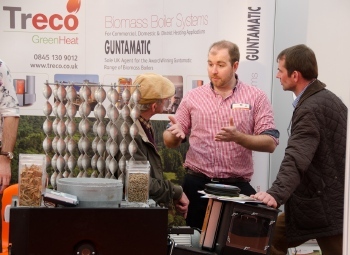 The exhibition will be packed with a fascinating range of exhibitors with products and services relevant across the wide range of all forms of renewable generation (including, of course, ‘building-friendly’ sources such as solar and ground- and air-source heat pumps). Also featured will be energy efficiency, heat, energy storage, and low-carbon transport and its infrastructure; and the needs of sustainable cities, all topics of interest to readers of Modern Building Services. The Giant Networking Evening has been confirmed as taking place at the Glasgow Science Centre with its exciting interactive ‘Powering the Future’ exhibition. Each year organiser Reed Exhibitions produces a veritable one-stop shop, bringing together all elements of the industry in the exhibition, in the multi-stream conference, in those quick-fire seminar theatres, in the dedicated Power Club Lounge (for developers and similar stakeholders), in the 1-2-1-share fare area, and at the legendary Giant Networking Evening. Last year was the first time the show had been held in Glasgow (the first 14 shows were in Aberdeen), and it attracted 8250 people from 50 countries (a 20% increase over the previous year). Nearly 3000 visitors attended at least one conference session, and all packed the exhibition aisles and stands where representatives of 450 exhibiting companies were there to do business. There’s no doubt that times are challenging for many in the sectors the All-Energy exhibition serves, but there’s a great deal of truth in the maxim ‘when the going gets tough, the tough get going’. The reaction from exhibitors and speed with which people are registering to attend proves that they remember the busy and buzzy atmosphere at All-Energy and are determined to benefit from it. Good leads are made, business is done — that’s what’s needed, and All-Energy 2016 certainly provides the right environment. What’s more, visiting the exhibition, attending the conference and the Giant Networking Evening are all free of charge to those with relevant business/professional interests. One of the most eye-catching of exhibits on the showfloor in will be what is believed to be the largest UK 65C air source heat pump. It is over 8 m long and being exhibited by Star Renewable Energy, Parsons Brinkerhoff and British Gas. It is certainly destined to stop visitors in their tracks! There will undoubtedly be other stars of the show, and visitors can make use of the 15 subject-specific trail guides to locate exhibitors in particularly sectors of particular relevance. The conference programme includes such luminaries as ScottishPower’s Keith Anderson; Professor Sir Jim McDonald of Strathclyde University and co-chair of the Scottish Energy Advisory Board. Indeed the conference pages on the All-Energy website read like an industry who’s who. In line with Scottish Government aims, the conference will be looking at both energy supply and end use. Importantly to readers of Modern Building Services the free-to-attend conference programme includes two days’ discussion and debate on sustainable and smart cities, a full day programme on heat (including heat networks and district heating — with additional sessions on all forms of bioenergy and energy from waste) and a full day programme on energy storage at all scales. There will be 3.5 hours dedicated to solar power, again at all scales. There will be 90-minute sessions on energy efficiency, geothermal power, decarbonisation of the food and drink industry, hydrogen and fuel cells, and sustainable transport (including infrastructure). Naturally, too, the conference will also addresses such issues such as the grid (including smart grid), onshore and offshore wind, wave and tidal — and a variety of other relevant topics for the renewables industry. The quick-fire seminar theatres are a popular draw on the exhibition show floor. On the first day, one is dedicated to ‘Community and local energy’. On the second day, it will switch its contents throughout the day (from 1030 to 1630) to ‘Business energy efficiency’ with technology updates, and perhaps almost more importantly, case histories. Learning from those who have ‘been there, done it’ is invaluable. All-Energy is held in association with the Renewable Energy Association (REA), Highlands & Islands Enterprise, Scottish Enterprise, Aberdeen Renewable Energy Group (AREG) and host city Glasgow. The Society for Underwater Technology is the show’s learned-society patron. A further 40 organisations (including Government departments, professional bodies and trade associations) act as supporters of the 2-day annual event. Shepherd & Wedderburn will once again be headline sponsor. Further information on all aspects of All-Energy is available at the link below and from all-energy@reedexpo.co.uk. All-Energy is on Twitter @AllEnergy and has Facebook and LinkedIn groups.